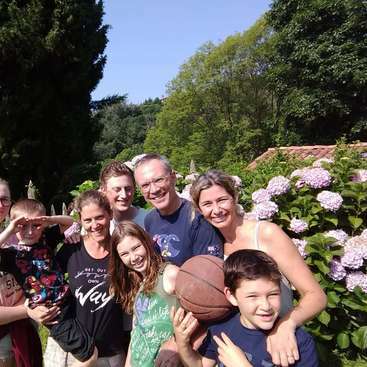 Help in an eighteenth-century farmhouse in Tuscany, Italy! Among vineyards, olive groves and Unesco heritage sites! I'm a 22 year old boy who runs a nice farmhouse in Tuscany, near Montepulciano, with my family and staff. 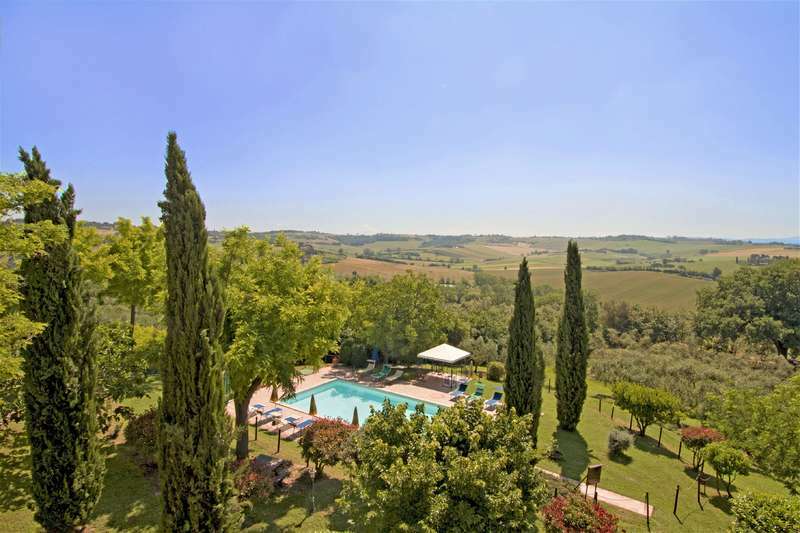 The farmhouse, located in a beautiful position, on a hill of the Tuscan countryside, surrounded by vineyards, olive groves, sunflower fields and lakes, it's one of the most famous in the area. We produce DOC red wine, extra virgin olive oil and honey; from September we will start shipping. 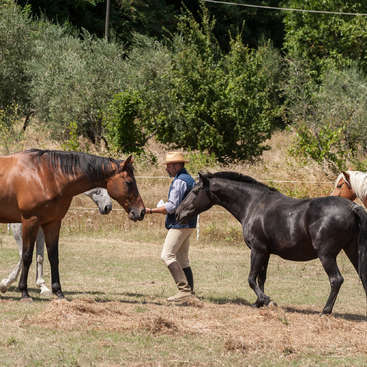 The farmhouse is located near UNESCO heritage sites (Montepulciano, Val d'Orcia, Assisi, Siena) and many other famous cities and countries (Florence, Pienza, Montalcino, Perugia, Cortona, Città della Pieve, Rome, Castiglione del Lago, Orvieto). 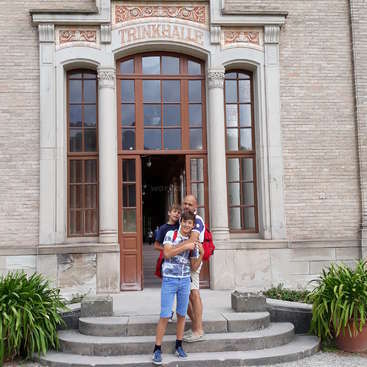 We host people from all over the world (United States, China, Canada, Germany, Holland, Denmark, France, Switzerland, Spain, Austria ...) and we are always fully booked since we open (April 22th) when we close (October 30th). Because of my studies, this year I will not always be present, so I'm looking for a boy/girl who can help us with guests, wine, garden care and apartments cleaning. The farmhouse is a 17th century farmhouse and we collaborate with many famous wineries of Montepulciano. You will see how wine is produced and you will know places full of history and tradition. You will learn how to cook our types dishes. You will make friends with people from all over the world. You will live in Italy like a true Italian and when you return home you will have greeted many Italian and foreign friends. We are fortunate to live in a beautiful area, near the Val d'Orcia and many UNESCO heritage sites. You will have free time to visit all the beauties that surround us. You can relax in our pool during work-less days and go out with me and my friends. In Castiglione del lago, 6 km from us, there are many parties by the lake and many young people. We are looking for a boy/girl with specific skills and abilities. - Experiences with Photoshop, Premiere pro cc. Helping our chef during cooking lessons, explaining the history of our recipes that we will teach you. We live 4 km from the farmhouse, in a small village in the countryside, small but equipped with all services such as supermarket, pharmacy, post office, bar, gym and much more. In the summer it's very hot and it almost never rains. You will live in our house and sleep in the guest room. You will eat with us and you will eat very well indeed. From meat to homemade pasta, we are very attentive to food. We only eat organic and healthy foods that often come from our area. The Mediterranean diet is full of typical dishes that will leave you entranced. In Castiglione del lago there are many bonfires and parties along the lake. You can go out with my friends, go to the cinema, to the gym, visit museums and cities of art. In your free time you can do whatever you want. There are many bus schedules and a train station to quickly reach Rome, Florence and the other cities. My friends will be also very happy to pick you up with their car. In the days when I return home we can also visit all the nearby cities together. Manuel, Cristiano and Manuela were like the Italian family i never had. Their warm hospitality and the stunning view will made you fall in love with the Italian countryside. 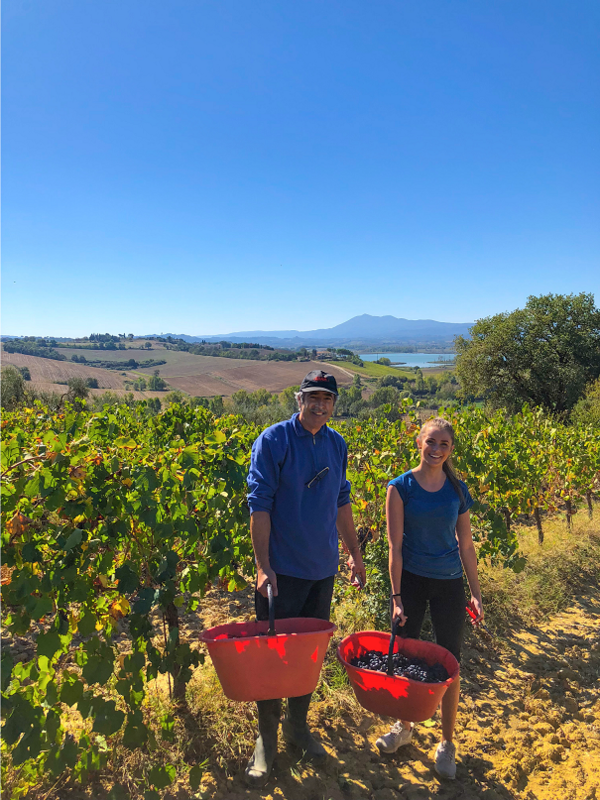 From working the hard ground, trimming the olive groves together and then sharing an amazingly simple yet delicious meal, to exploring the rustic towns of Tuscany. Manuel… read more even brought me out to chill with his friends over pizza. Manuel was like an older brother to me, he is a very hardworking yet humble, handsome young lad! Helping me effortlessly communicate with his lovely parents. They were exceptional with their generosity and big hearts! I would definitely recommend this to anyone looking for a purposeful and enjoyable experience! Will definitely return back! Wished I could have stayed longer with them and give leave a 6 stars experience! Kyle is a smiling person, always ready to work and get to know new things. We immediately became good friends. He helped us a lot and he was very kind to my parents. He is a talented, sociable and friendly boy. It was nice to know his culture and also his food. For my birthday he prepared spicy noodles for me at midnight and he cooked a typical… read more dish of Singapore with chicken for my parents. It was nice to know him and we all hope to see him again. If you are looking for a Workawayer, he is the right person! Working and living with Manuel and his family, Cristiano and Manuella, was such a brilliant, life giving and unforgettable experience. They are good people who welcome you into their home and their lives, always trying to make your experience enjoyable and fun. Working there is rewarding work, you are surrounded by beautiful views and the grounds… read more of the Villa are exquisite. I enjoyed tending to the olive trees as it was hard but satisfactory work as you can see the difference you make to your surroundings. As well as this, I found interacting with the guests to be fun as you meet people from across the globe. 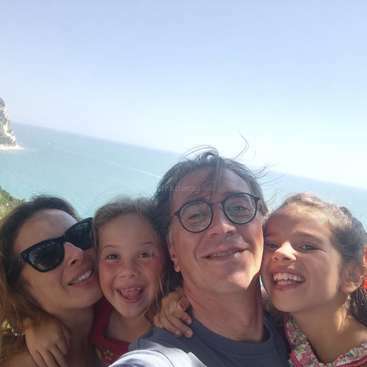 Over the time spent in Italy and the Villa I built a brilliant friendship with Manuel and his family, I am happy to say I am visiting them again over the next summer, I enjoy seeing the Villas progress and feel like it is my home away from home. I would encourage anyone to work here and live with this family. You will live such a fantastic experience! Amber is a wonderful girl, always smiling and willing to help. In a short time she became a member of our family. We had a lot of fun together and she helped us a lot. We often had to tell her to stop working because she really liked to get busy. With our guests she has been impeccable. For a week I left her in control of the… read more property and she really did her best. This summer she will come back to see us and we can't wait to meet her again. She is a special person and as Workawayer she will always try to do her best. Thank you for your help Amber! Iselin is a beautiful girl, smiling, friendly and an excellent worker. She helped us a lot and she was always ready to learn new things. My parents had a special relationship with her. She was always kind to us. It was nice to know her traditions and culture as she lives in the beautiful Lofoten islands in… read more Norway. She is very good at cleaning apartments and welcoming customers, and she also helped us in the production of our red wine. We can say with certainty that she has been one of our best workawayers so if you are looking for help, don't hesitate to contact her. Eden is a beautiful, friendly and smiling girl. She has been our Workawayer for a month last summer and she helped us a lot. The beginning was not the best since I was not present for the first week but after we met, everything was perfect. We have worked well together. Eden had a special relationship with my parents and she was always ready… read more to help at the farmhouse and at home. If you are looking for a Workawayer, don't hesitate to contact her, you will not regret it. Thank you for your help Eden! 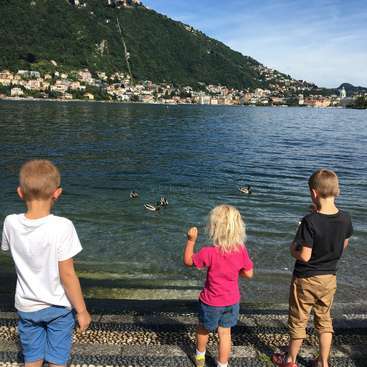 Child care/Music/English or German teaching close to Como lake in Italy. Every single day is a fresh start!